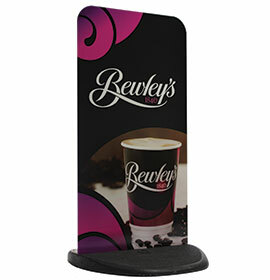 Plain, printed, HPL and custom shaped panels available. Description All your Ecoflex 2 will be sent as individual units by parcel delivery. Your Ecoflex 2 will be sent in two separate deliveries – one by pallet, one by parcel. 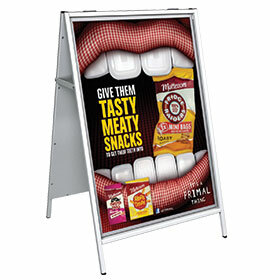 The ‘eco-nomical’ and 'eco-friendly’ high performance sign, ideal for pavement, roadside and forecourt promotions. 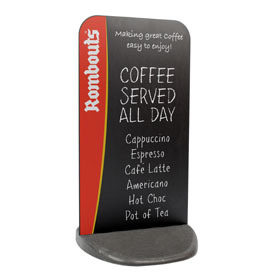 The top selling individual pavement sign in the UK. 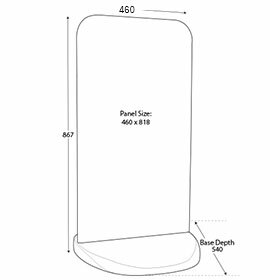 Medium sized 460mm x 818mm display area. Aircraft grade 1.2mm aluminium panel, it is ideal for vinyl graphics or screen/digital printing. 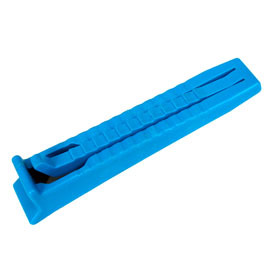 Unique patented wedge means assembly and disassembly in seconds, with no tools required. 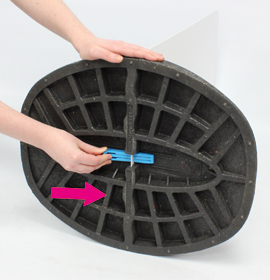 Recycled PVC base provides great stability. Option to have embossed logo in base, minimum order quantity 500. 3mm HPL – ideal for vinyl application. Suitable for soft chalk and liquid chalk pens. 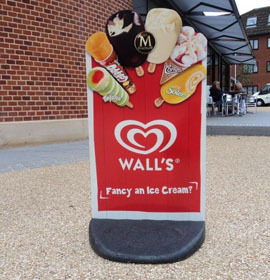 Shaped/oversized can be achieved with aluminium panels only, create truly unique and eye-catching designs with custom shaped panels, brought to life with our vibrant screen and digital print.